207 E 1st St, Los Angeles which is a restaurant named "". Source: T Marinovich. 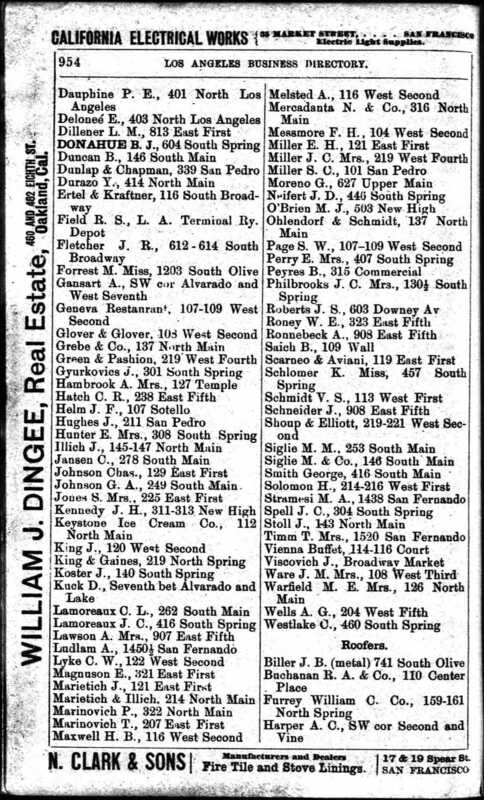 1893 Los Angeles City Directory-Restaurants p 954.